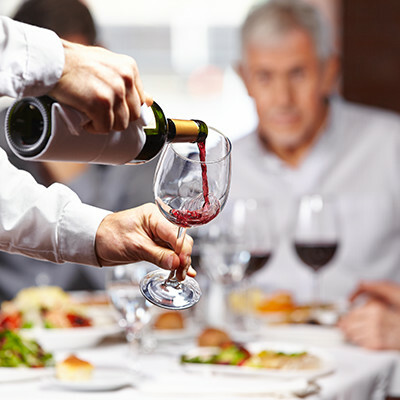 The one ingredient missing with most marketing or consulting firms for restaurants is the link between driving traffic and then utilizing hospitality to keep the guests coming back. When done right, a great online strategy paired with a streamlined guest experience “in-house” can make all the difference to success. Our In-house services are typically done on site, but we have managed projects from afar as well. Our strategy depends on your needs and goals. This is your guest’s first contact when they enter your restaurant and the last line of defense against an unfulfilled guest on the way out the door. People often underestimate the importance of a well-trained person at the door to increase return guests. Simply utilizing the guests name can increase returns dramatically. Perhaps the most important aspect of the service will be the seated dining experience. The flow, feel, tone, sales, and training of this person can make or break the deal for a future guest return. It’s important to have the right people in every position but a few bad apples on the service team can slowly erode your return guests and have you wonder why you’re not growing like you used to. Bar service, unlike the table service, has the added effect of controlling one of your primary revenue drivers, alcohol beverage service. Here you have two aspects that can again be the difference between profitability and losses based on one or two employees. It’s vital that your management team is looking at the right metrics to and Cover Funnel can help put your team in the right direction. Cover Funnel offers staffing and recruiting services for management level employees. We have a broad network of talent to pull from and a wealth of experience in cultivating the talent that you’re looking for. Our team of professionals can interview your management team and help to paint a picture of where the problem areas are. In addition, we can offer custom training for those individuals if necessary or simply leadership and development training. Cover Funnel can audit your guest experience by coming in as diners and reviewing every aspect of our experience along with targeted fixes in the guest experience. This can be a vital step for many restaurateurs who spend a lot of time inside their restaurant. Sometimes an outside set of eyes can help to highlight a problem that may have become a standard operating procedure. Our directors have written training manuals from fast casual all the way up to the best fine dining steakhouses in the country. We are capable of reviewing your current standards and implementing change that your existing staff will be able to live with a staged roll-out. Corporate culture and a system of “core values” are often overlooked but are one of the best things you can do for your company. We can help your team create one that everyone can live with and appreciate. Core Value structures give new hires and existing staff a sense of what the company values and something that they can buy into. Cover Funnel can create custom training manuals for new and existing restaurants that suit your staff’s abilities and level of service. We can also help to train your managers in how to implement such a program. All of these services are for nothing if they don’t continue once our work is done. It’s important to have a system of accountability that keeps the standards high and a culture of acknowledging a job well done. When the stars begin to align within your restaurant the repeat clientele just happens. When you have the service, food, contact, technology, message in sync you will be amazed how easy it is to create the business over time. Cover Funnel offers to train on how and when to follow up with the best response. We can assist with setting up your email campaigns and automating them so you can take the guesswork out of it once it’s set up.